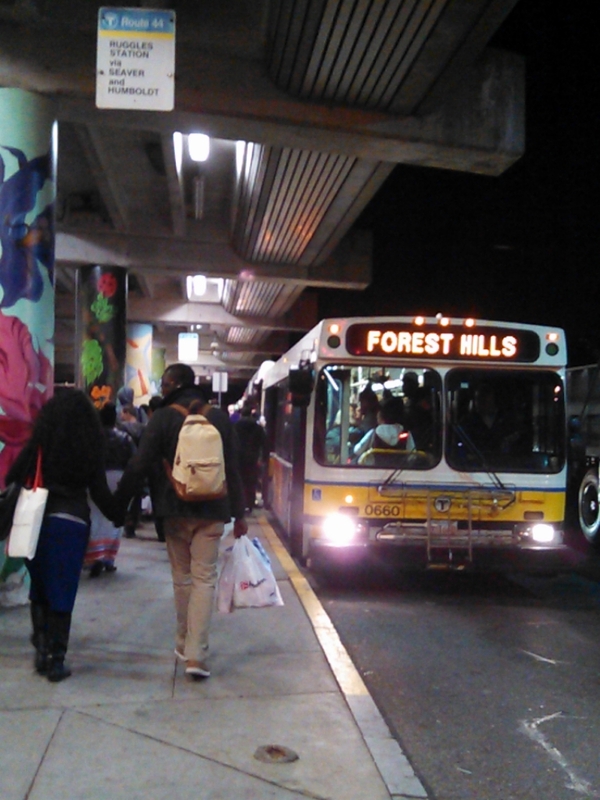 A review of daily passenger statistics published by the MBTA shows that ridership has skyrocketed. Ridership on the subways and trolleys is up over 20 percent in just ten years. This confirms what we all know: the service is slower, more crowded and less reliable than ever. Our best transit services, the Red and Orange Lines, now see an astonishing 30 percent more riders than in 2004, yet both lines operate almost exactly the same number of trains today. (1) These numbers obscure fare increases and service cuts that have hurt ridership, especially on buses, ferries and "contracted bus" lines. (2) Bus ridership varies by route. Many have seen increases over 20 percent. (3) Commuter Rail ridership counts are likely inaccurate. CR has been subjected to significant fare increases and now costs less than driving in most places. (4) Green Line counts are lower than actual ridership because of unknown numbers of passengers entering via the rear doors. Overcrowding prevents ridership growth. Instead of downplaying the impacts of our transit network, to which many hardworking employees dedicate their careers, MBTA officials should be trumpeting soaring ridership as evidence of the importance of transit and the need to upgrade it to meet the needs of our rapidly growing region. No major investments have been made to the system’s core since the 1980s and we're feeling the consequences of our shortsightedness. If we don’t start investing now, the problem will only get worse, and it will only cost more when we eventually decide to expand and maintain our critical infrastructure. The Frontier Group's Tony Dutzik did a similar analysis and goes into more detail on the impacts of housing and commercial growth as well as comparisons with other large cities. As he reminds us, these large increases in ridership come despite repeated fare increases, service cuts and declining service quality. If we made some investments in the system, ridership would increase even more. Instead, we're looking at more fare increases and service cuts without any hope of real reforms or revenue. Let the T know they should stand up for the truth and develop a real plan for major service improvements.